PITTSBORO - Jazz takes center stage when the Heart of Carolina Jazz Orchestra and special guest artists perform at the Fearrington Barn, in Fearrington Village. Central Carolina Community College�s Continuing Education Department at the Chatham County Campus is sponsoring the concert, which takes place 4 p.m.-6 p.m. Sunday, March 22. Admission is free. Seating for the concert is limited. Reserve tickets (limit - two per family) by calling, toll-free, 1-800-682-8353, ext. 7268. The Heart of Carolina Jazz Orchestra, a 19-piece big band directed by Gregg Gelb, will feature guest artists Jerald Shynett, Alexander Brower, and the Heart of Carolina Jazz Sextet. Gelb, saxophonist, clarinetist, arranger and bandleader, is the director and founder of the Heart of Carolina Jazz Orchestra and Society. He started it in 1990, while a visiting artist at Central Carolina Community College. He teaches an online �Introduction to Jazz� course for the college. Gelb also performs with his own band - the Gregg Gelb Swing Band, North Carolina Jazz Repertory Orchestra and, occasionally, with the North Carolina Symphony Orchestra. In 1997, he received the Jazz Fellowship Award from the N.C. Arts Council. Gelb has a Bachelor of Music degree from Berklee College of Music, a Master of Music degree from the N.C. School of the Arts, and a Doctor of Musical Arts from UNC-Greensboro. Trombonist Jerald Shynett teaches at the University of North Carolina-Wilmington and is soloist with the North Carolina Jazz Repertory Orchestra. Vocalist Alexander Brower III makes special appearances with the Jazz Orchestra, performing the music of Arthur Prysock, Billy Eckstine, Duke Ellington, and Ray Charles. He is also publisher of the Hometown News Magazine and president of the Lee County NAACP. 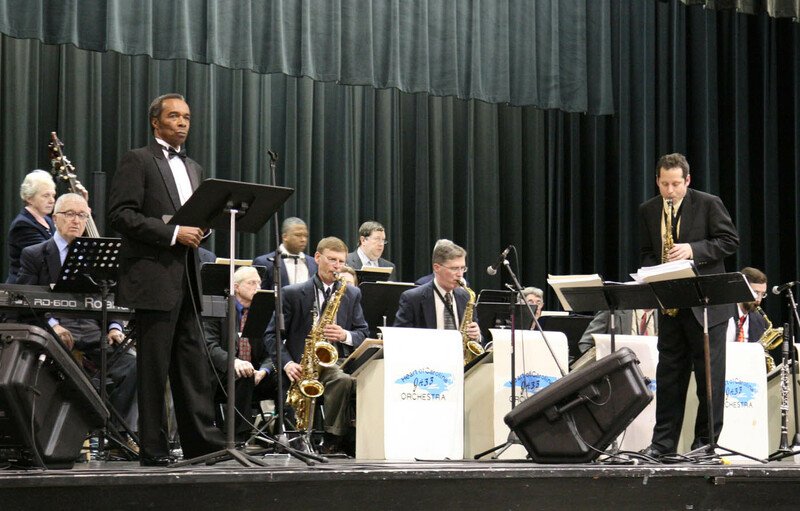 The Heart of Carolina Jazz Sextet, a small group of the Jazz Orchestra, features Howard Smither on trumpet, Ann Woodward on bass, and Bill Falconer on piano; along with a few orchestra members. For more information on the Heart of Carolina Jazz Orchestra, visit its website: www.facebook.com/HoCJO. For more information about continuing education programs at Central Carolina Community College, visit the college�s web site, www.cccc.edu, and click on �Continuing Education� or contact Thompson at (919) 542-6495 or cthompson@cccc.edu. Information is also available by calling: in Chatham County, (919) 542-6495, ext. 223; in Harnett County, (910) 814-8855; or in Lee County, (919) 718-7225.